critical to being a leader and effective administrator! 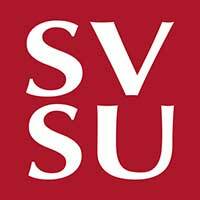 The Executive Health Care Leader Track of SVSU's Master of Science Health Administration & Leadership program is designed specifically to meet the educational needs of busy clinicians, physicians, managers and executive administrators in health care. This program will provide health care administration skills to complement clinical experience in preparation of health care executive positions. The Master of Science in Health Administration and Leadership provides interdisciplinary preparation for students pursuing a career in administration and leadership of health or human services organizations. The program includes theoretical and experiential learning opportunities. Core courses provide a sound foundation in health and organizational management and leadership. Saginaw Valley State University is accredited by the Higher Learning Commission of the North Central Association of Colleges and Schools.